It’s been about two months since I last wrote about my Killarney Sweater and I’d like to be able to say I’ve made excellent progress, but I don’t want to lie to you, dear reader—I’ve actually made very little progress. As you can see, I’m still working on the ribbing at the hem. The good news is that I only have about half an inch to go! 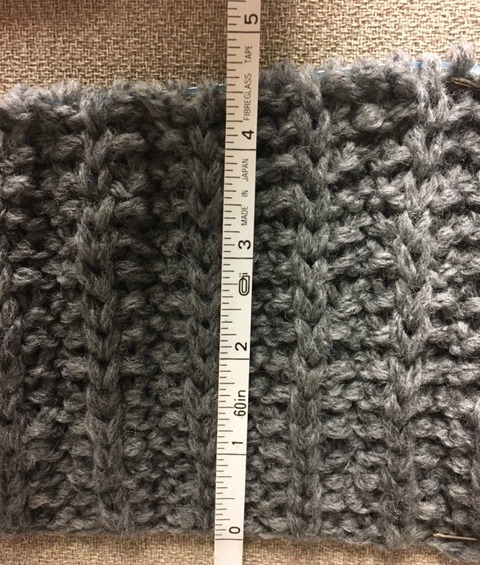 The bad news is that at my average rate, it will probably take me another 2 weeks to finish that last half-inch. My initial goal was to knit 2 rows every day so I could get through this sweater quickly, but that clearly hasn’t happened. Here’s the thing: I can’t do anything else while I work on this ribbing. I can’t have a conversation or watch TV or participate in meetings or even listen to a podcast. 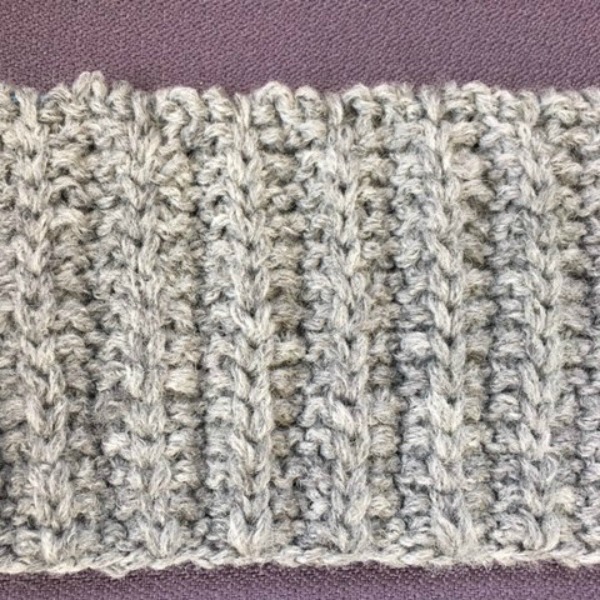 For some reason, this pattern really trips me up if I’m not 100 percent focused on it, and not being able to multitask while knitting this ribbing really limits my ability to work on it. I just don’t have many opportunities during the day to focus solely on this one thing. When I realized that last week, it brought me up short. Why do I feel like I don’t have time to give all my attention to one task? I’ve given it some thought, and I think it speaks a lot to how we live in this day and age. How often do any of us focus on just one task? There’s so much pressure to do everything that there’s little opportunity to give all of our attention to one thing. The more I think about it, the more I realize I hardly ever unitask: I listen to podcasts while I cook, I read while I exercise, I check my phone while I’m watching TV. I’m sure many of you are the same way. There’s a lot of information out there about how to do more—heck, we’ve written blog posts on how to be a more prolific knitter. That’s great information; we all have a lot to get done, and being able to work quickly and efficiently is important. And it can be great to work on a project while watching a movie or chatting with friends (knitting is the original fidget spinner!). But for me, doing a bunch of things at the same time often means doing most of them poorly, and that especially applies to my knitting. So maybe I’m going about knitting this sweater the wrong way. In my quest to always be multitasking, I’ve sometimes viewed my sweater as something that keeps me from doing other projects at work and at home. But what if I changed my perspective and viewed working on this pattern as an opportunity to slow down, focus, and truly enjoy the task at hand? Would that change my relationship with the project? So far, the effects of slowing down and focusing have been really positive. I love this sweater so much more when I’m not pressuring myself to get it and everything else in the world done simultaneously. When I tell myself it’s okay to just knit, I remember that this ribbing is really fun to work and that I actually do enjoy knitting this sweater. If, like me, you often find yourself frantically multitasking, I urge you to give yourself permission to focus on just your knitting. Put aside the million other things clamoring for your attention—they’ll still be there when you’re done. Focus up, get in your zone, let the distractions melt away, and be fully present with your project. Our featured image for this post is by Martin Snelling/Eye Em and was obtained through Getty Images. Get Started on Your New Passion! No, you are not doing this wrong and thank you for writing this. When my friend told me she wanted to knit again, after not knitting for 3 decades, the first thing I told her was to ignore all the posts and lessons about knitting FAST. It’s just not required for people who want to enjoy the process, not making a living from knitting and not on deadlines. Thank you for writing this! I am newly retired and thought I’d have lots of time to knit but that doesn’t seem to be the case. You are so right about multi-tasking. It seems like we always have to be doing more than one thing, that we shouldn’t be giving our full attention to knitting. One reason for me is that I love knitting (and weaving) so it’s fun. And when everyone else is working, how dare I do something fun. This article so resonated with me. My grandmother used to crochet lace. She had 5 boys and I think she used it as a place to escape all the daily demands. I read somewhere that if a woman wants to escape, hand her a piece of lace to knit. Knitting and weaving gives my brain someplace else to go besides worry. In today’s world, we fiber people are very lucky to have that special place in our lives. I’m recently retired, too, and picked up knitting again. I watch SO much less TV. I’d rather sit and knit and listen to smooth jazz. But it’s true for me as well, I have to pay attention or I’ll make a mistake. I’m learning brioche, and find it helps to have a “mantra” for each row – “yarn to front, slip, brk”. What a great piece here, I’m just learning to knit (on my own) and picked a “lapghan” throw to make. It’s got just enough complexity that I must focus exclusively on what I’m doing. I find that if the TV is on, an hour will pass and I’ve not even registered what was just on the TV! Talk about getting lost in your work. But, it does keep me from worrying about things and I get to enjoy being with the beautiful fibers I got to make this throw….I can’t imagine myself doing cables!! I watched the knitting TV show and was totally awestruck at how fast some of the seasoned knitters just plow through a row of complex cable work!! Perhaps one day I’ll get there, right now I’m just enjoying the therapeutic benefits of the knitting process. Thank you so much! I’m re-learning to knit (read: un-learning some bad habits and lazy habits) and I’m scared to even start because I find it so hard to simply sit and knit. Of all the reading I’ve been doing on knitting and techniques, no one has said this. Thank you! Thank you! Thank you!